This week we received our preliminary contract and had our preliminary contract meeting with our Sales Consultant, Melissa at the Metricon Head Office. After many emails and phone calls, it was also nice to finally meet face to face with our Customer Sales Coordinator, Karen. Since we received the first version of the preliminary contract plans back on the 16th Jan, there has been a few changes. The most significant change has been that our floor plan has been flipped so the garage is now on the left hand side (south side) of the property. This of course has meant that we had to apply to council to get the driveway crossover to be relocated to the south side of the property. To the council’s credit they turned this request around very quickly and pre-approved the changeover in under 2 days!! Metricon can now proceed with the plans flipped. Great work. A better design outcome for the proposed building design:- Locating the garage to the south will allow for appropriate positioning of north facing living areas. In particular, the outdoor alfresco will have a northern aspect. 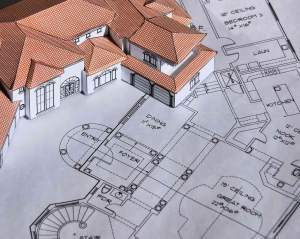 It will also allow for potential building regulations to be easily met with appropriate building design. However, we will still need to apply for Report and Consent for 3 regulations. Visual surveillance along the driveway when reversing the car from the garage:- The current crossover location does not allow for comfortable visual surveillance for traffic approaching from the north end of street due to a sharp bend in the road. Relocation will allow for safer existing. Widening of the crossover: – The current crossover is very narrow in width and when we relocate we will seek a wider crossover that meets Council specifications for the relocated crossover for easier entry and exiting. At the preliminary contract meeting, we made a number of variations (adding, removing and correcting items). We plan to review the contract further at home over the next few days before signing and see if there is any more opportunity to cut some costs. It was very exciting to get to this stage. I am currently creating a floor plan using Microsoft Visio based on our latest plans provided by Metricon and will post it as soon as I finish it. Both Melissa and Karen have been very helpful in answering our questions and following up on a number of items promptly over the past few weeks and getting us to where we are. Thanks guys! 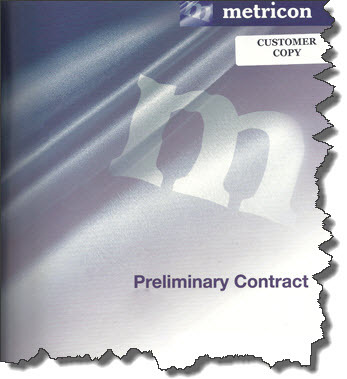 Today we received our preliminary contract plans by email from Karen, our Customer Support Co-ordinator (CSC). How exciting!!!! We will go over the plans in detail over the coming days. But one obvious thing we noticed in a glance over of the plans was the missing outdoor room extension. We were notified last year that we couldn’t get the Grand Outdoor Room due to the amount of cut needed out the back, however, we were advised we should be able to get some sort of smaller extension. I have sent an email back to Karen asking her to clarify this. Looking at the documents, it seems like we will need to apply for three Rescode Report and Consent items with the council. We will apply for this ourselves as the owners with the help of our close friend who is a seasoned designer. This is the story of a knock down and build of a house in the north eastern suburbs of Melbourne. We have found the Home One Forum to be an valuable resource in helping us through our build journey. The material and content contained on this blog is for general information only. No representation is made about the accuracy of the information. The material contained on this blog represents the personal views of the individual authors and do not necessarily represent the views of any organisation that any authors are affiliated with or with the views of any other author whom might post on this blog. The opinions and views regarding companies/individuals are those of the authors only.